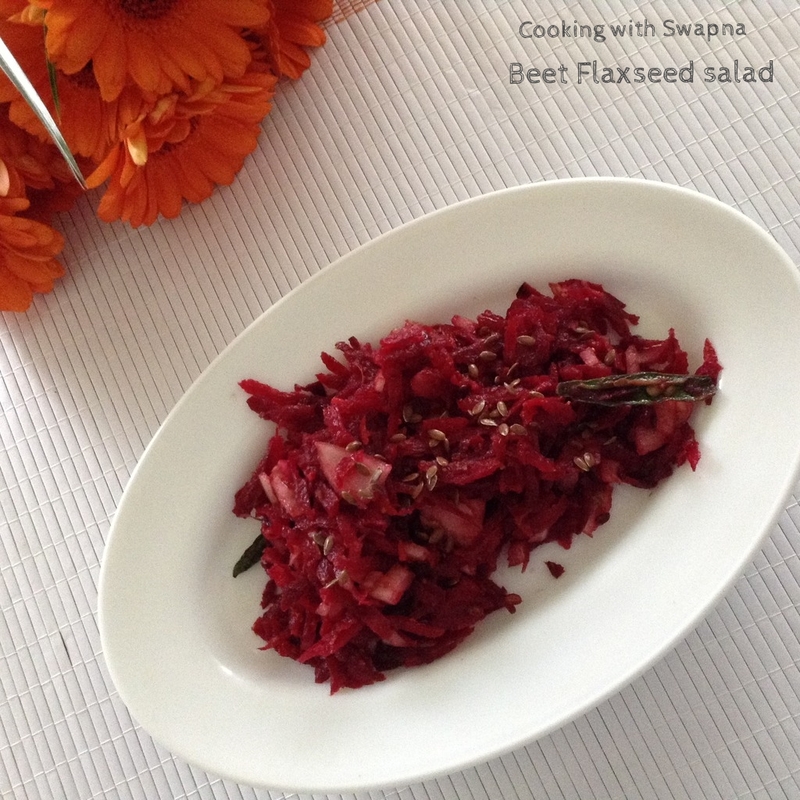 Cooking With Swapna: Beetroot Flaxseed Salad !!! 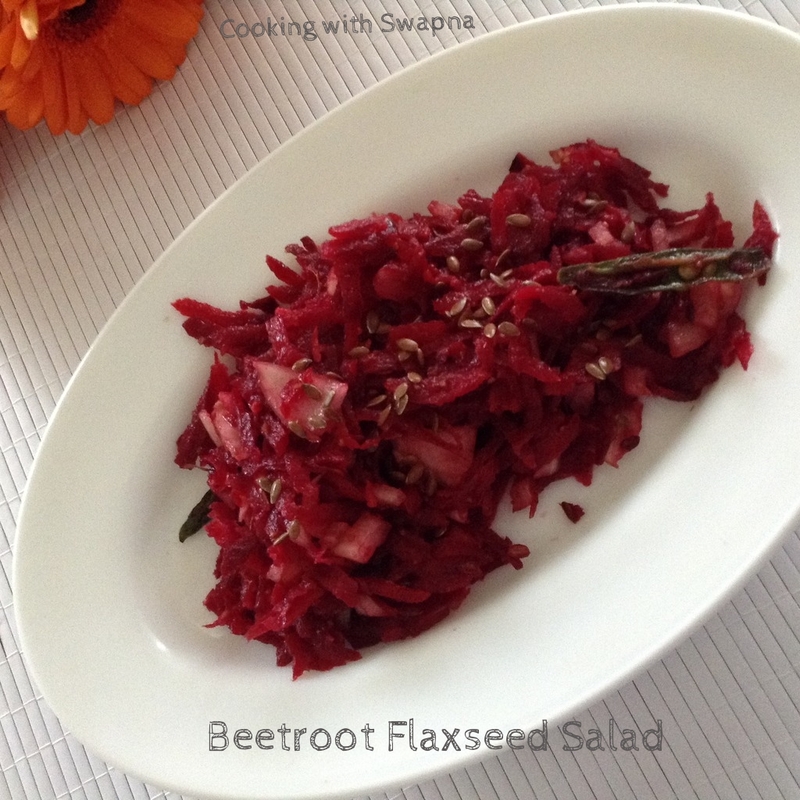 Regularly eating flaxseed supports weight management and overall good health. Grated beetroots releases lot of their natural sugar and by tossing them by simple lemon flaxseed dressing, they become an ideal addition to a salad. Some toasted flax seeds finish this simple salad off. A good dressing turns any salad into masterpiece and this is one of my masterpiece recipe. 1. Toast the flax seed on pan or bake it for 10 mins at 180 C. Ground 1 tbsp of toasted flax seed to fine powder and another 1 tbsp for garnishing. 2. In a bowl, whisk together lemon juice, grated ginger, chopped onion, olive oil, salt, grounded flax seed and green chilly. 3. 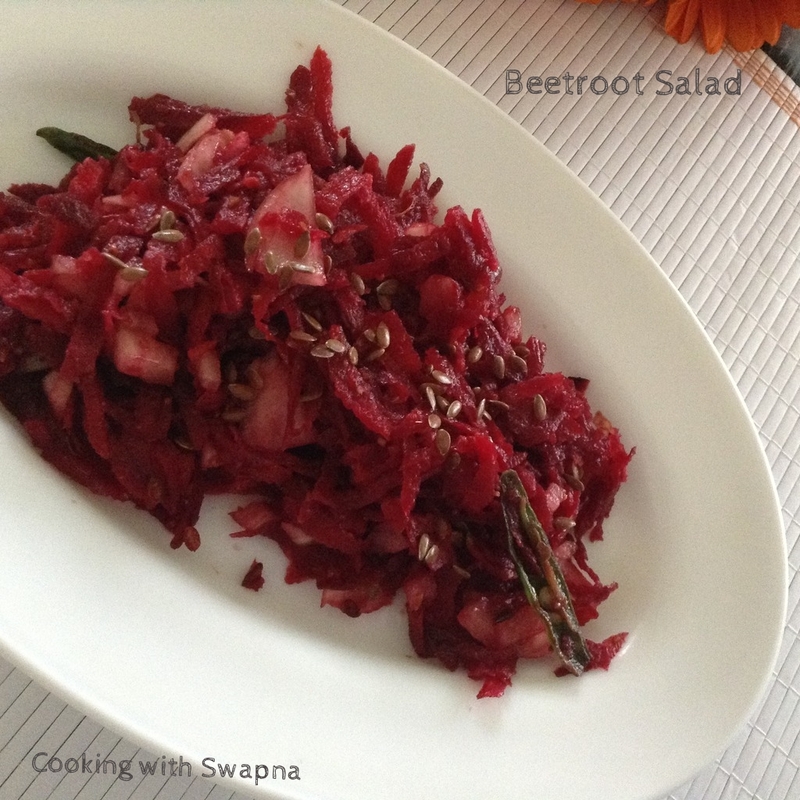 In a serving bowl, combine grated beetroot and walnuts(optional). 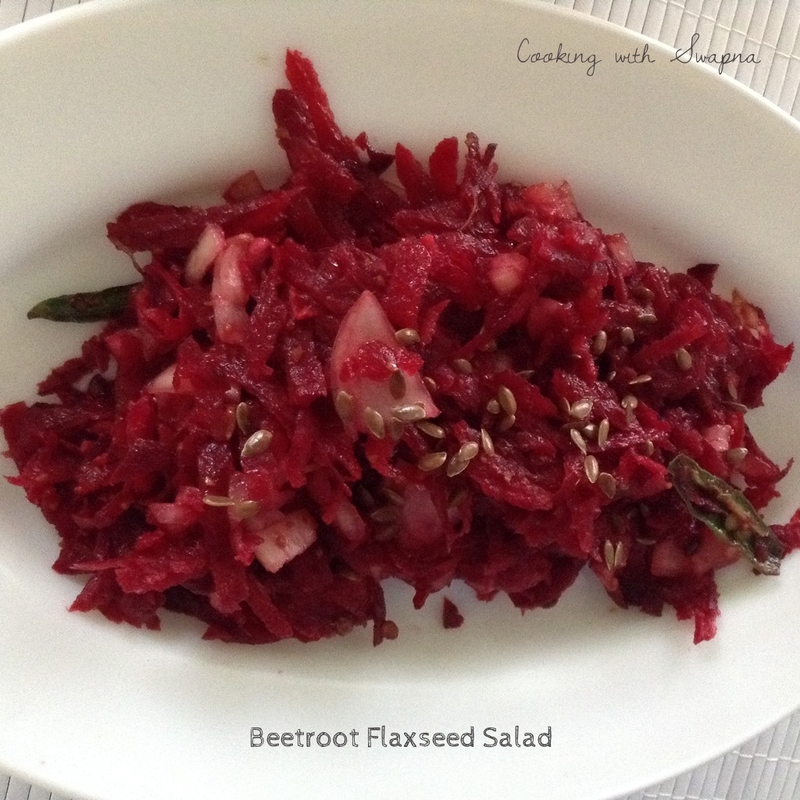 Pour Flaxseed dressing over salad, toss gently to coat. Garnish it with toasted flaxseed.